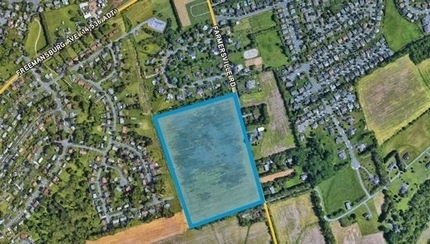 A potential residential project on nearly 30 acres of land may be in store for Bethlehem Township. River Hills Estates LLC, who is affiliated with Cahill Properties LLC, purchased the land in the beginning of January. Managing partner for Cahill Properties LLC of Easton, Robert Cahill, stated he purchased the lot because he likes the marketplace, area and location. Cahill Properties is finalizing its plans for the vacant land, which is located along a residential street off Freemansburg Avenue, near Route 33 and Interstate 78.